Here's a link to the Eventbrite page for this event - RSVP if you'll be there! 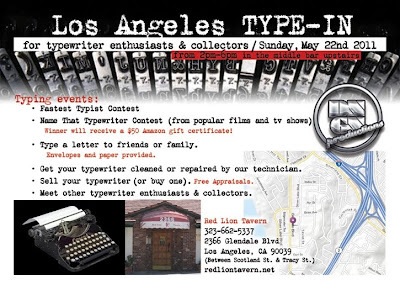 As a side note, there is a typewriter technician from US Office Machine Co. attending the event. 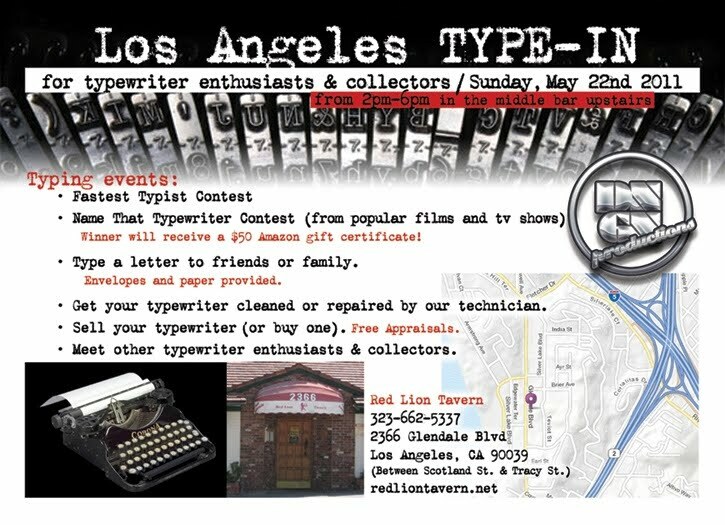 Here's an article about this typewriter shop that used to have a video posted (bring the video back, LA Times!) and here's an absolutely fantastic story about the shop written by Steve Grant. Cheryl: Thanks for the link to the LA shop story! There's a movie waiting to be made. Anyone Still Using a Typewriter?